Chicken salna is prepared from roasted masala and it smells great. It is a Madurai style spicy salna and goes well with parotta, egg dosa, keema dosa...!! 1. Dry roast all the ingredients given in “Roast and grind” in a medium sized pan until it starts turning brown. 2. Allow it to cool and grind them into powder. Do not add water. This will be the masala powder. 3. Heat a large pan or pressure cooker with oil. Add mustard seeds and allow it to crackle. Then add bay leaf, curry leaf and roast for few seconds. Add chopped onion and ginger garlic paste. Saute for 2 min or until it turns golden brown. 4. To this add green chili, tomato, salt and saute for 2 min. Add the fresh clean chicken pieces and cook them until it turns white. 5. Then add turmeric powder and the masala powder prepared in step 2. Mix well and add 1 cup of water. Adjust salt to taste. 6. If you are using pressure cooker, close the lid and allow it to cook for 3 whistles. If you are using a pan, close the lid and keep in medium flame for 20-25 min, or until chicken turns soft. Garnish with cilantro and serve with multilayered parotta. 1. Clean the chicken pieces and pressure cook for one whistle along with turmeric powder and salt. Chicken will be almost cooked. 2. Mince the cooked chicken using hands. Easy way is to grind them for 3 sec. Do not grind them for more than 5 sec. Do not add water. It should be in form of shredded coconut. 3. Cut a medium sized potato into two halves. Pressure cook it for 2 whistles or until it is completely cooked. Allow it to cool naturally and peel the skin of potato. Mash the potatoes into smooth paste. 6. Take a spoon of corn flour and all purpose flour mixture and add water. This batter should be very thin. Coat chicken balls with very little of this batter. Coating chicken balls with batter helps to bind them. Potato itself will help in binding. So coating balls with batter is optional. 7. Heat oil in a kadai. Fry chicken balls and serve. 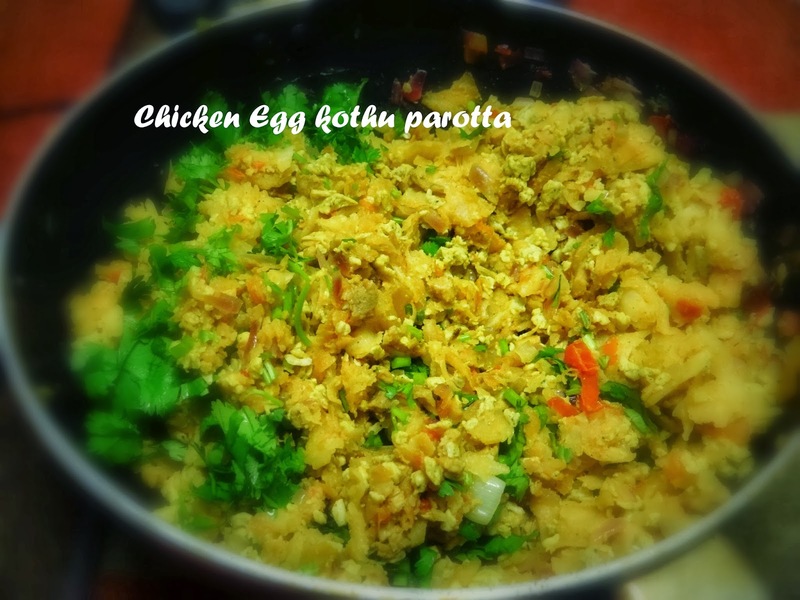 Chicken varuval is an authentic chettinad dish. Its tastier than regular chicken 65 dry recipe. Its one of the all time favorite food among people of Madurai and South Tamilnadu. Take the clean and cut chicken pieces in a mixing bowl. Add all the ingredients in “to marinate” section and mix them well. Let it marinate for 20 min. Heat oil in a kadai. Fry the marinated chicken pieces and place it in the tissue to dry extra oil. Chicken manchurian gravy is an easy and famous dish. Chicken manchurian dry is served as appetizer. Adding just the chicken broth gives a gravy form of chicken manchurian. Its a perfect side for fried rice. Chicken stock - 1/4 cup - If you do not have chicken broth, it can be substituted with water. 1. Grind the items in "to grind" into a smooth paste by adding little water. 2. In a small pressure cooker, heat oil and add cardamom cinnamon cloves star anise powder. These can be added as such also. I used powder. Then add onion and saute until it becomes translucent and then add ginger garlic paste and saute til it raw smell leaves. 3. To this add turmeric powder, chili powder and pepper powder. Tomatoes are also added to this and saute until it becomes mushy. 4. When its cooked well, add coriander, cumin powder and the mixie paste. Add 2 cups of water and finally salt and the fresh chicken pieces. Give a stir and pressure cook it for one whistle.